Hospitals and other healthcare facilities are busy places and are often part of large, multi-building/multi-level complexes that are open seven days a week, 24 hours a day all year long. 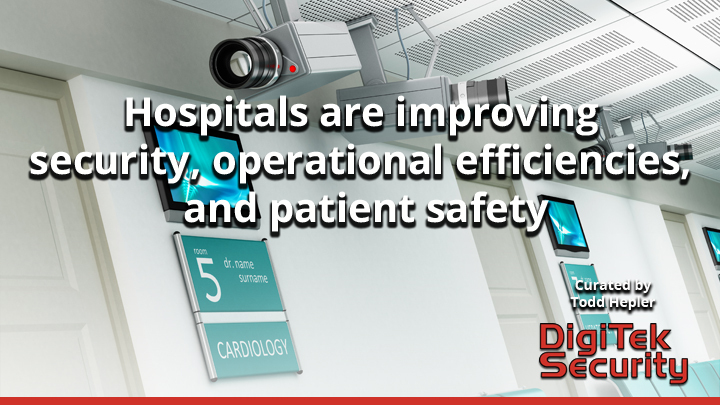 Because of their unique operating schedule and the fact that most are open environments with doctors, nurses patients, family and support staff continually moving in and out they pose unique security challenges. According to the experts, the best prescription for health care facility safety requires multiple levels of security that are integrated and scalable. This article by Courtney Dillion Pedersen for Security Today takes a deeper dive into the subject and provides valuable insights on how to address security challenges in today’s healthcare environments.